Theodore Roosevelt National Park is a must stop on any I-94 road trip across the United States. I-94 runs thru a small section of the parks south unit. There is even a visitor center that duels as a rest stop! 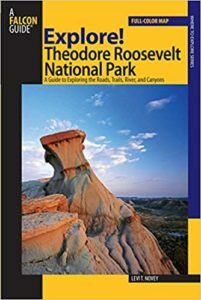 If you are short on time and only have one day in Theodore Roosevelt National Park, here is the guide for you. Theodore Roosevelt National Park is made up of three sections. The north unit, south unit and Elkhorn Ranch. It is about an hour and 15-minute drive from the north unit to the south unit. It is about an hour and 15-minute drive from the south unit to Elkhorn ranch. 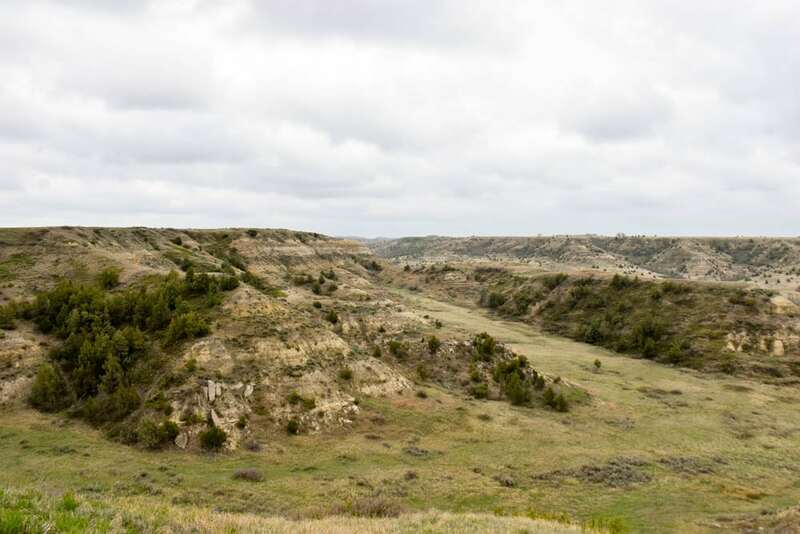 The units protect mixed grassland interspersed with badlands and a section of the little Missouri River. 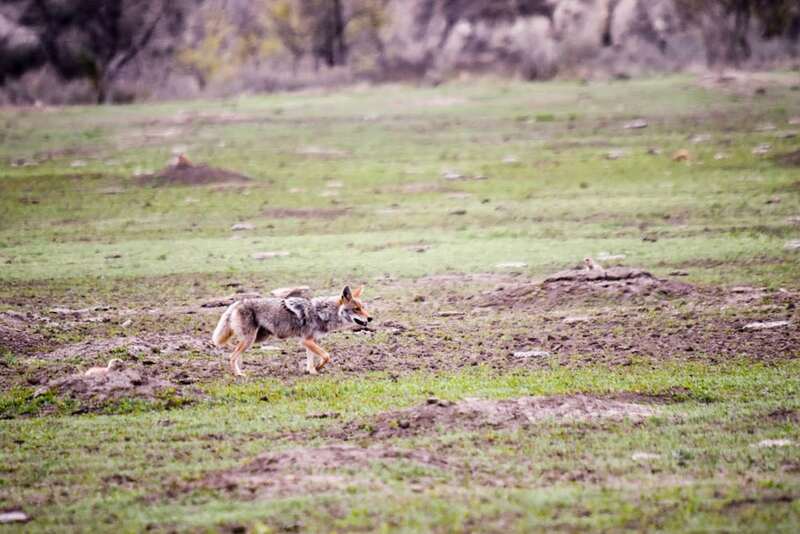 The park is home to bison, prairie dogs, elk, bighorn sheep, feral horse, and some other animals but these are the most common seen. If you have been to Badlands National Park in South Dakota, Teddy Roosevelt National Park is similar in landscape but greener. 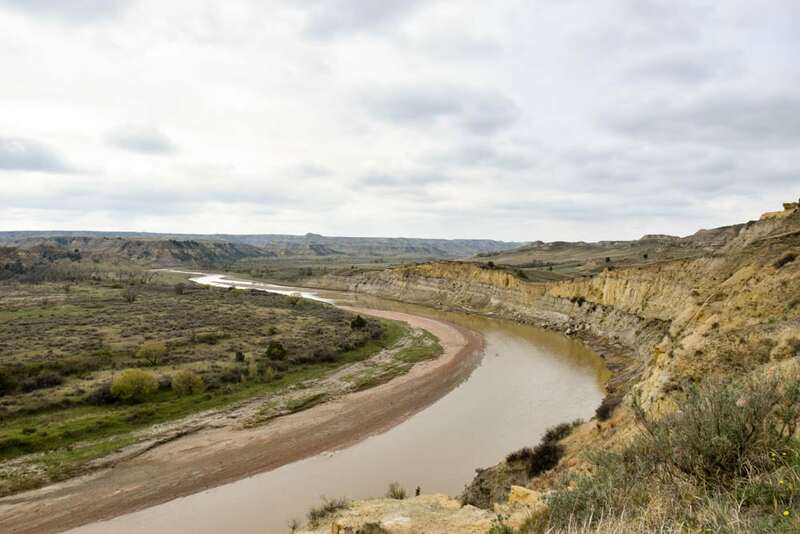 The Little Missouri River provides more moisture for plant life to grow. Each unit is worth a visit, with only one day, I would visit the south unit and leave it at that. The south unit has two visitor centers. Each has a marked exit on I-94. Follow the signs. If you are on a I-94 road trip, just stay on 94 until you see exit 27 (from the east) or exit 24 (from the west). Otherwise your options are to fly into Fargo or Rapid City, South Dakota and drive to Theodore Roosevelt National Park. At that point, you are making a special effort to visit this park. So why not make a longer trip out of it. The south unit offers a campground called Cottonwood near the Little Missouri River. Cottonwood campground is located about 5 miles into the park. It offers water and half the campground can be reserved in advance. The other half is first come first serve. 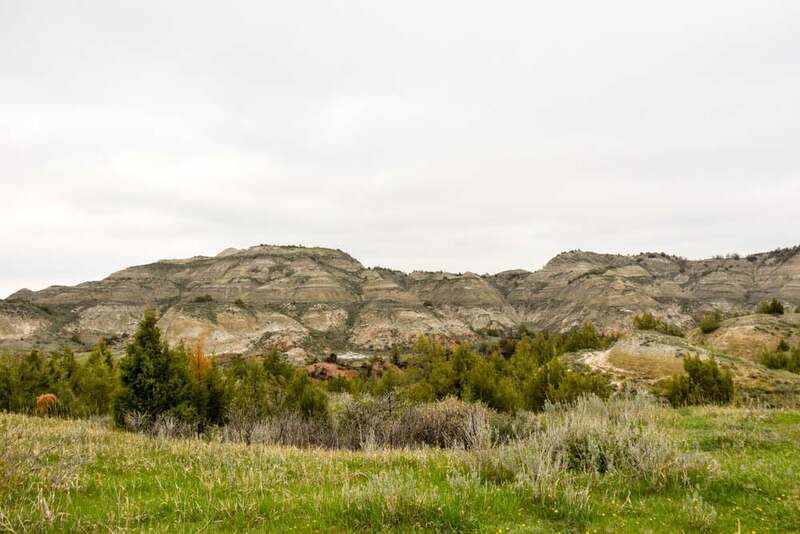 Just outside the park is Medora Camp Grounds and Red Trail Campground. 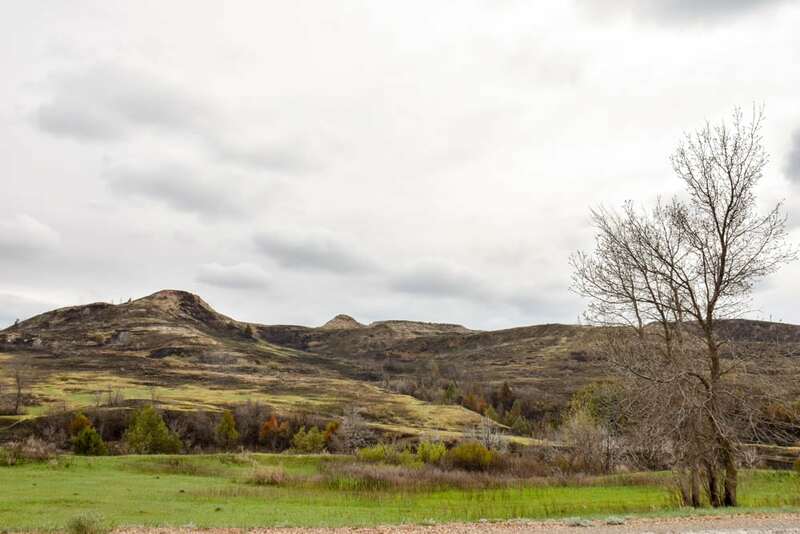 Both campgrounds are on the edge of Medora and minutes from the park entrance. They offer showers and RV hook-ups depending on the season. The southern entrance is located in the town of Medora. This quaint country town offers several hotels and a couple of places to eat. The other option are about 30 minutes from the south entrance. Dickinson, North Dakota is the larger of the two town and offers the most amenities. Check out Dickinson hotels here. Head into the park from the south unit main entrance in Medora. 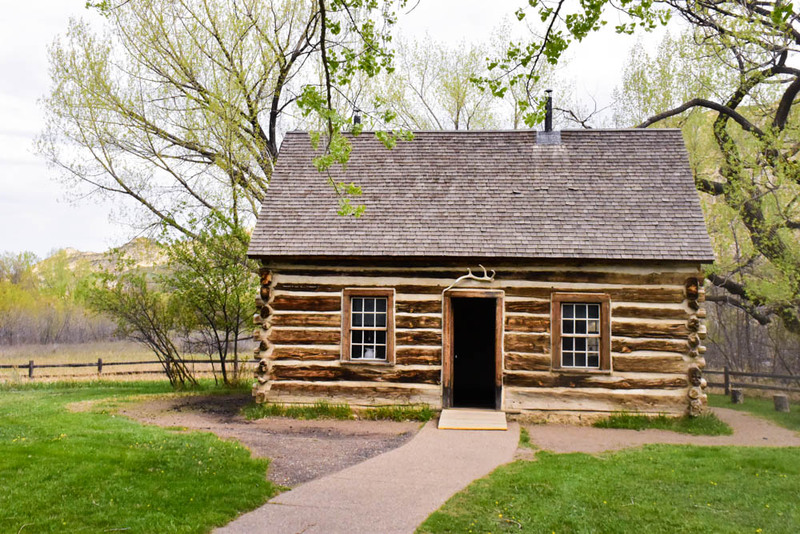 If the visitor center is open, stop and explore the small exhibit on President Theodore Roosevelt and his original cabin. The Maltose Cabin was built by Roosevelt and his ranch hands. Be sure to check out one of the logs on the left side of the entrance. Roosevelt hammered spent bullet casing into the log in the shape of a Maltose. From the visitor center, head into the park. You will cross a bridge over I-94. There are a couple of small overlooks. You can stop and enjoy the view and any or all of them. Keep your eyes peeled for feral horses, bison and elk. Be aware, the bison think nothing of standing in the middle of the road and refusing to move. As the landscape starts to flatten, you will arrive in your first prairie dog town. The prairie dog towns are huge. All the mounds of dirt you see are from their underground burrows. Unless a predator is around, the prairie dogs will be out in about forging for food. Spend some time here and watch the prairie dogs interact and back. Lots of barking means someone is nervous about something. A higher pitch bark with a jump means the coast is clear. Stop at the Skyline Vista Trail for a short 0.3 mile walk out to an overlook. This will provide a view of Medora and the Little Missouri River. At the junction keep left and head towards Ridgeline Trail. 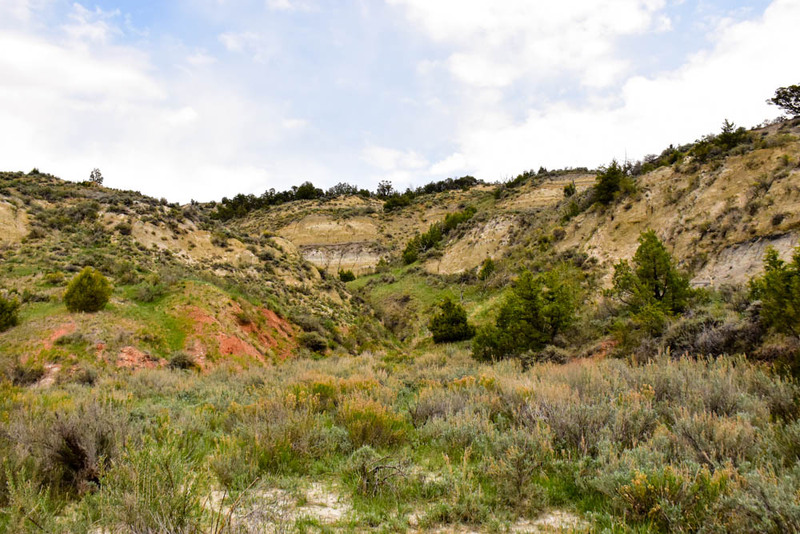 This short but steep loop trail has a trail guide to explain the ecosystem of the badlands. The trail is 0.6 miles and should take under an hour to hike. 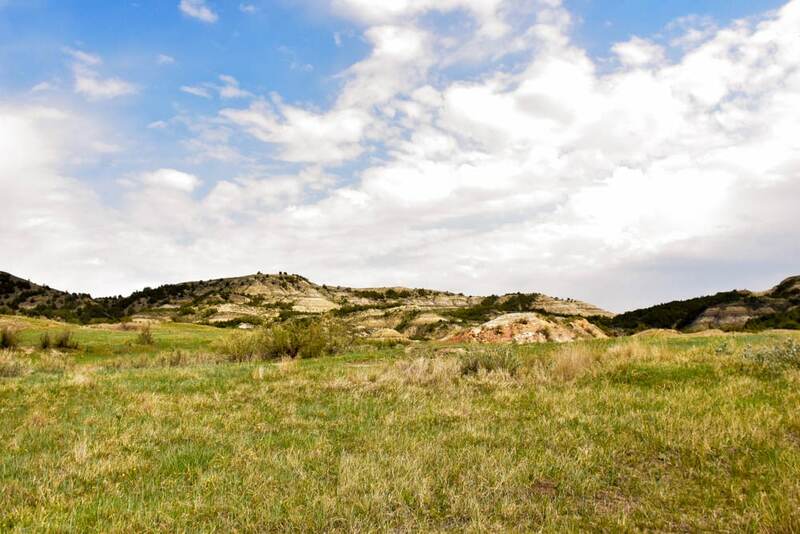 If you are in love with the prairie dogs and would like to see more of them, plus visit Theodore Roosevelt National Park’s original entrance station, then hike the 0.8-mile Old East Entrance. The trail wanders thru a prairie dog down and ends at the entrance station. The building is locked. Follow the signs down the dirt road to the Coal Vein Nature Trail. This nature trail is 0.8 miles long and explores how a coal vein fire changed the landscape in the area. This trail has a few steep sections. The trail has excellent view out into the badlands. Next drive up to Buck Hill. Buck Hill is the second highest point in the park. There is a short steep paved trail to the top of the hill. The top provides a panoramic view of the badlands. Be aware that rattlesnakes have been seen up here. Keep with the short hike theme of this trip, head over to Boicourt Trail. 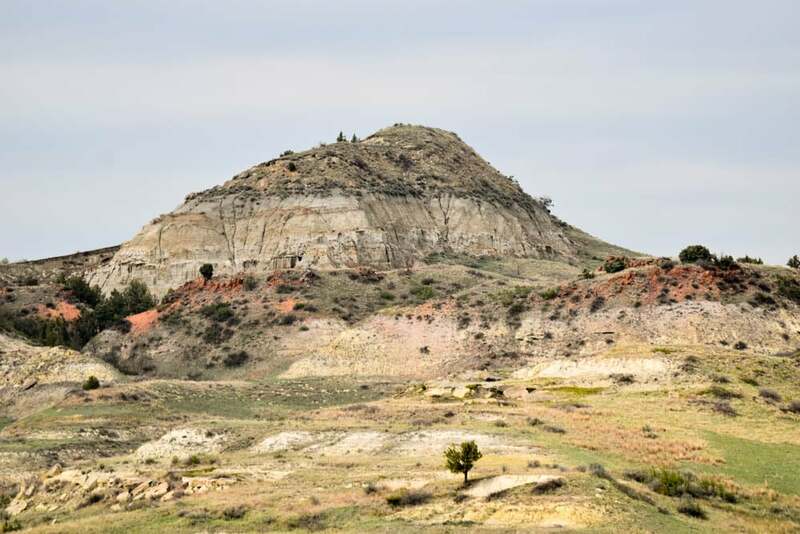 This 0.3-mile hike leads one out on a ridge with a suburb view of the badlands. **Keep this trail or nearby overlook in mind if staying in the park to watch the sunset. Enjoy the views as your keep driving around Teddy Roosevelt. The northern section of the park tends to be greener has the buffalo tend to hang out in this section. At the junction, head towards Wind Canyon Trail. This short 0.3-mile loop is a little steep but provides an excellent view of the Little Missouri River. This is another great sunset spot. There is another prairie dog town as you head back towards the park exit. Feel free to stop and watch. If it is dusk keep an eye out for coyotes and badgers. They have been see working together to catch prairie dogs. 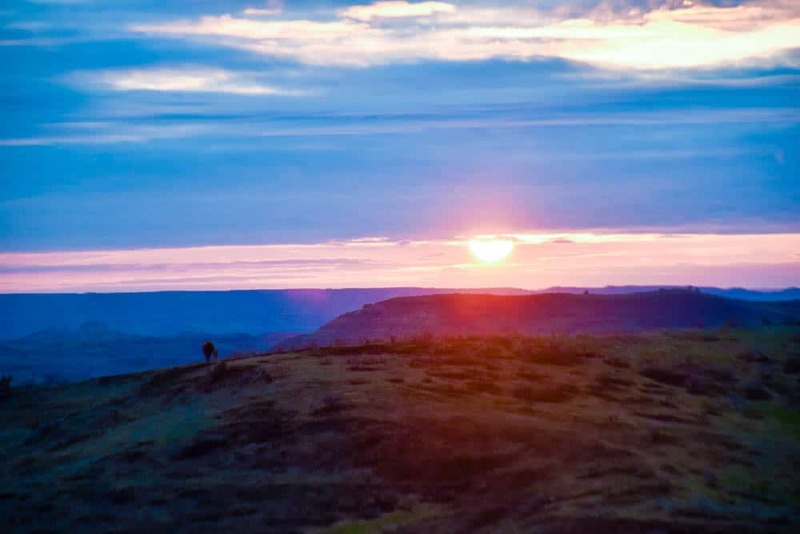 End your day by watching the sunset from either Boicourt or Wind Canyon. If you would like to do a little more hiking, head over to exit 32. This is the second visitor center in the South Unit. 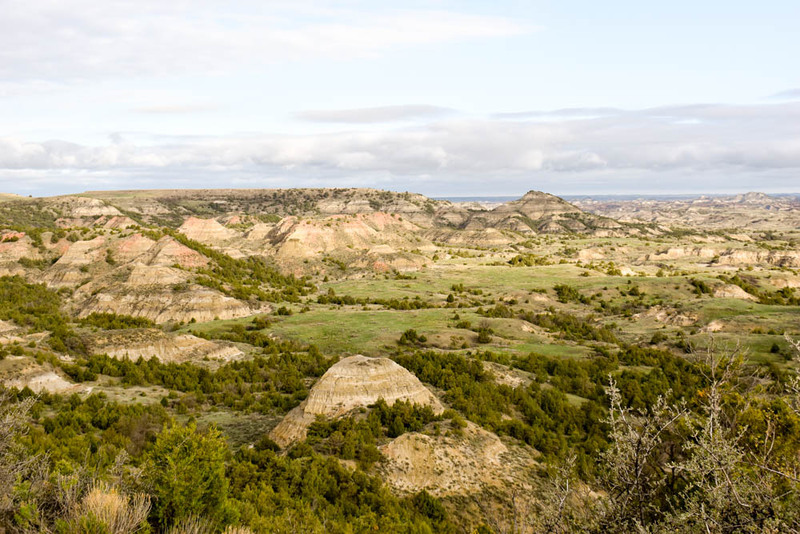 The Visitor Center has an overlook over a region of these badlands called Painted Canyon. Be aware of bison, they like to eat the grass near the overlook. There are two hiking trails from the overlook. The shorter Painted Canyon Nature Trail is about a mile and takes one on a loop in they canyon. 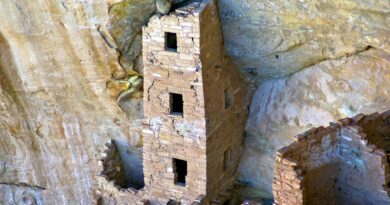 The second one is the Painted Canyon Trail which is 4.2 mile further into the canyon. 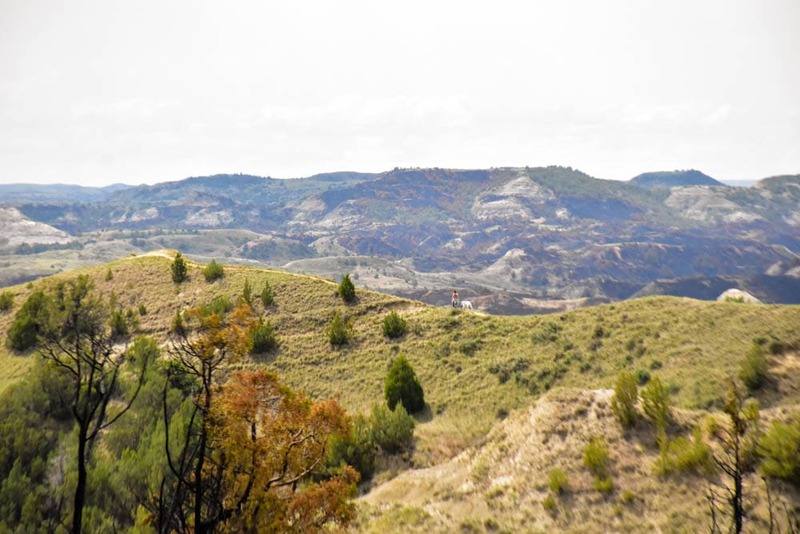 How do you plan on spending your one day in Theodore Roosevelt National Park? 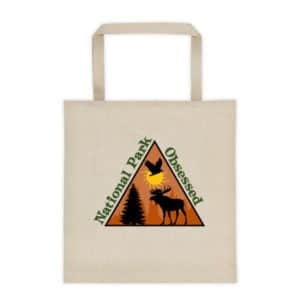 Check out some of our favorite Theodore Roosevelt National Park Products. Theodore Roosevelt NP is one of the less visited parks I really need to know more about. It looks like the animal sightings and sunsets can be phenomenal. I bet the stars are really amazing out there. It is really an amazing park. It is similar to Badlands in South Dakota which is why I think it is a little under rated. It is less visited because it is pretty much the only major attraction for tourists in the state of North Dakota. 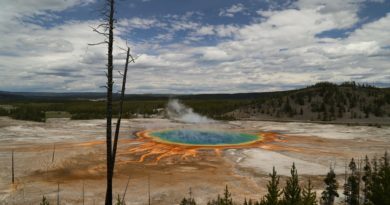 I absolutely LOVE national parks so I enjoy the theme of your blog and flipping through it to take a sneak peek into all parks, before I visit. Have you visited ones in India and Africa? they are the tops!!! This looks super amazing and that epic sunset reminds me of the one I saw in South African bush at zululand rhino reserve! OMG that Bison looks HUGE. Now I wanna go. I have done a few in Africa. To start with, I am going to focus on the US parks but I would welcome guest posts on parks around the world. We have been in the area and yet we didn’t make it to Theodore Roosevelt National Park: we know we’ve missed out big time! And you’re right that it looks a bit like the Badlands, but there’s more green, which is awesome! Also is it common to see wildlife other than buffaloes and prairie dogs? I am sorry you missed out. I got to see a bald eagle, feral horses, coyote, nose of a badger and lots of bird life. President Teddy left such a wonderful legacy. I’m glad at least one of the National Parks has his name on it. You have some fine wildlife shots here. Big lens I imagine. Loved seeing all the green. The Badlands are so dry! Teddy really does have one of the best legacies. He did so much to protect the US lands. We have travelled across the US a few times but never used I94. So we missed the Theodore National Park. It would be great to use this for a view of the Badlands. Seeing bison walking on the road is always an amazing treat. The view from Buck Hill looks amazing. Just use it as an excuse to go back. Teddy is well worth the special trip. 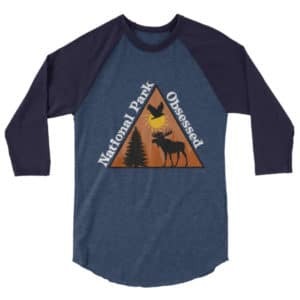 It would be an adventurous day there in the National Park. The wild life encounters seem so thrilling. Sunset views from here should be mind blowing. The sunsets are some of the best in the any park. It’s amazing what you can do in a day! I love natural parks and looks magnificent. So cool that you are able to see so much wildlife. Wouldn’t mind visiting this place one day. Thanks for showing and thanks for this perfect guide. The park is great for seeing wildlife. I loved how many prairie dogs I got to see. What a beautiful park! It looks like you had the place all to yourself. 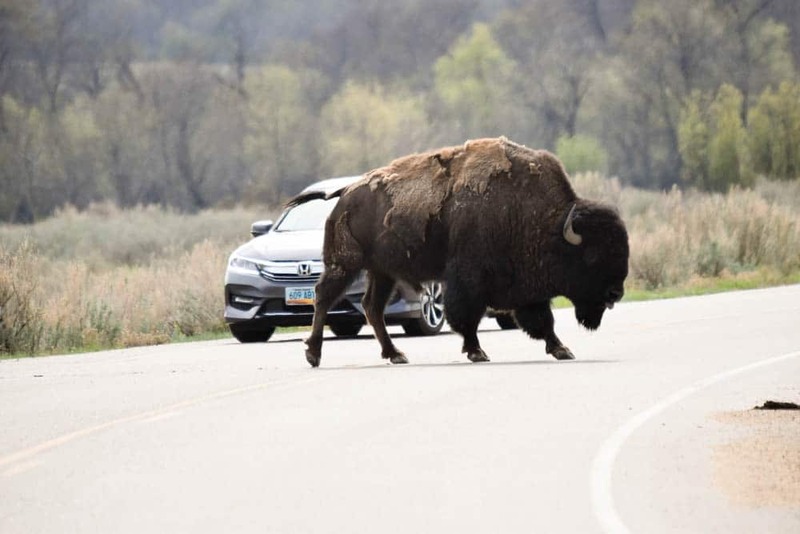 There would be nothing quite like one of those enormous Bison’s meeting your car on the highway! The Maltose Cabin built by Roosevelt – what a quaint piece of American History! Maltose is such a piece of history. I am glad we have a park to honor Roosevelt. 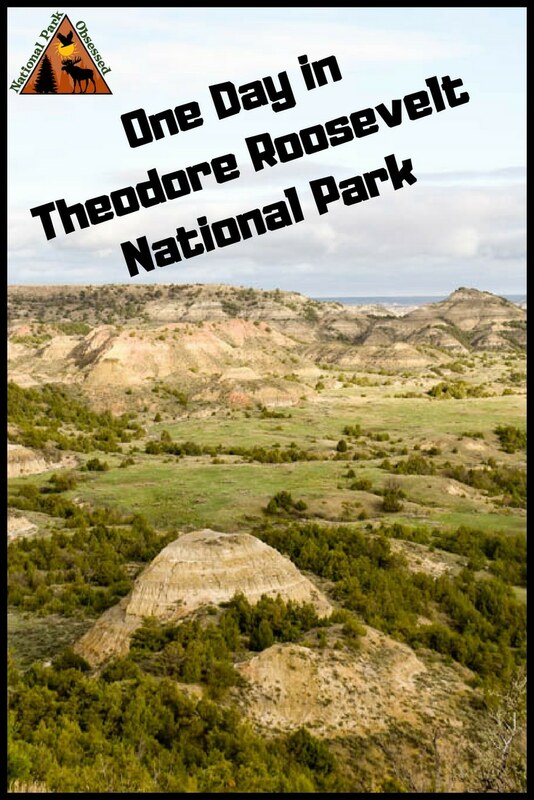 Although I have heard about the many national parks in the US, I hadn’t known about the Theodore National Park. The place looks lovely with a lot of animal sightseeing opportunities I guess. I loved the pic of the adorable bunny! The Buck Hill looks rugged and lovely. Hope to visit this place someday! Teddy is one of the lesser know. It is off the typical national park road trip routes. What an amazing piece of nature! If I meen bison in front of my cars, I would probably get heart attack. On the other hand Theodore Roosevelt park seems like place where you can do a lot even in just one day! For the most part the bison are harmless to cars. Just don’t honk at them. They will move when they are ready. I have been to Badlands National Park but not Teddy Roosevelt National Park. 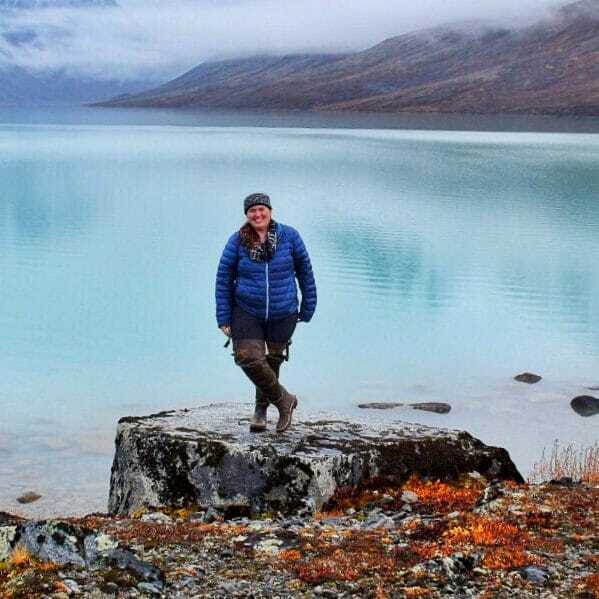 We have the best National Parks in the US. 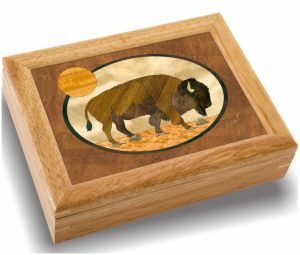 I adore that the bison just hangs in the road claiming his turf and the prairie dog is so cute! Interesting activities t Theodore Roosevelt National Park. 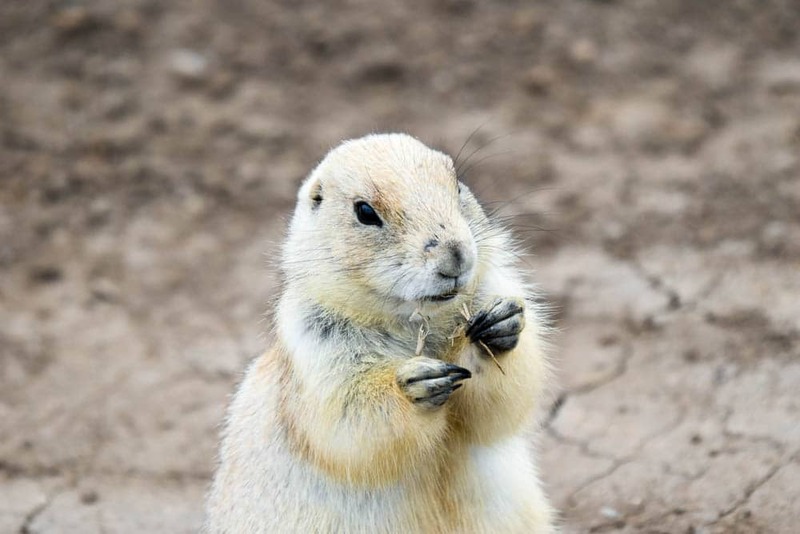 Watching the prairie dogs interact should be fun. I am keen about the scenic loop drive. Definitely lot of photo opportunities. I love the prairie dogs. They are the cutest. The bison really love to block the roads. They are big and know it. 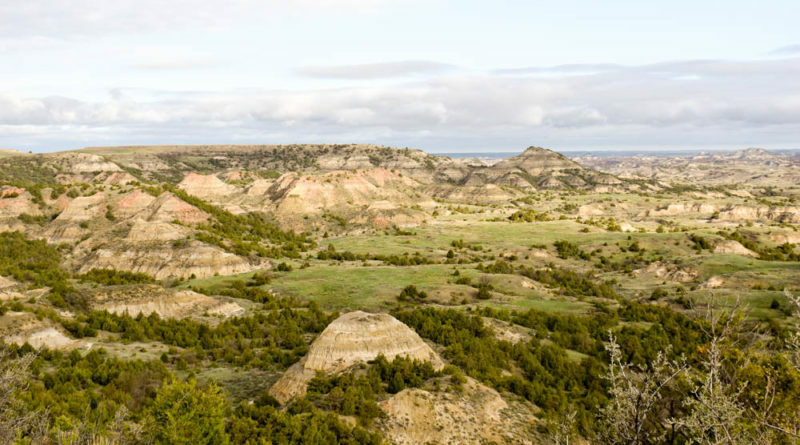 I love visiting national parks and I’ve visited quite a few, but I have never heard of the Theodore Roosevelt National Park. I’d love to photograph some of that wildlife, especially the bisons. The view of the Little Missouri River from the Vista Trail is gorgeous! Teddy always seems to be overlooked. I am never sure why other than its in North Dakota. 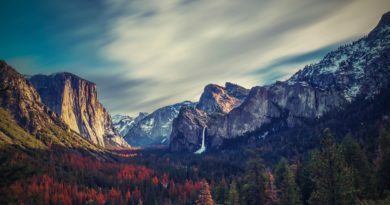 The USA has some amazing national parks. And I can see that Theodore Roosevelt NP is amongst that list. Its great to know that if you aren’t keen on camping that the local town has several hotels to choose from. But how quaint does Cottonwood campground sound! Plus when camping I am sure you would see more of that fantastic wildlife. I used to be able to say we don’t have a bad national park and then Gateway Arch came along. We have 59 epic parks and a hunk of concrete. Most people haven’t heard of Teddy. It is in one of those states everyone forgets about. 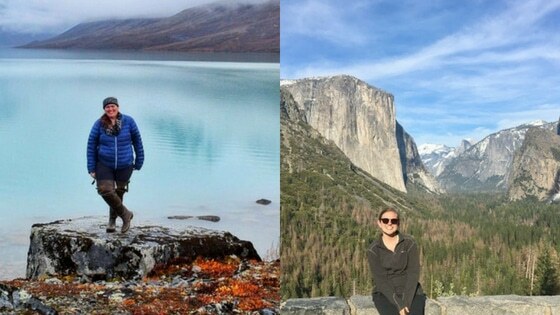 You are surely a National Park addict. I think even I will become so after visiting these beauties. 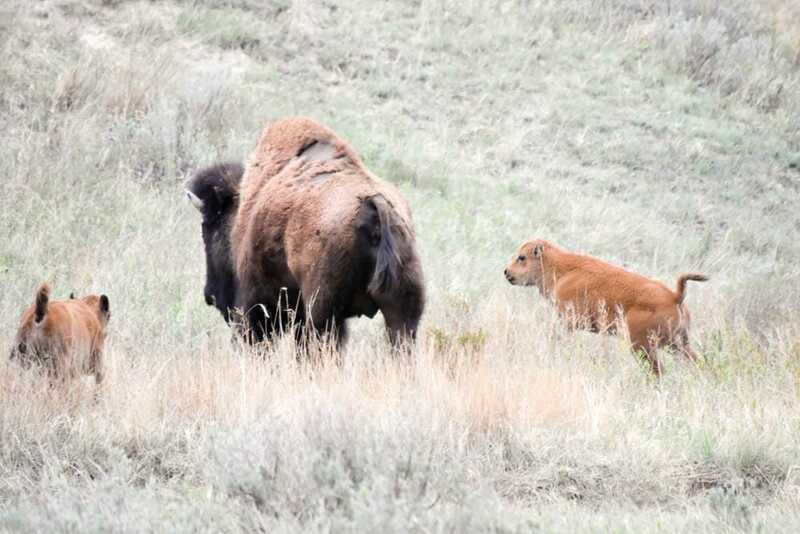 There is plenty of wildlife at Theodore Roosevelt National Park. My husband is going to love it for sure. Thanks for sharing all info. I try. The goal is all 59 at some point. A very well put out guide. I now know how to get there, where to stay and what attractions to look for. The Roosvelt cabin seems quite interesting. And I loved the captures of those yaks and meerkats ( it did look like one). The landscapes look so intriguing and gorgeous too. The yaks are actually an American Bison.